What is Coaching Presence and Why Is it So Important? Ask any master coach what they bring to coaching that's most important and they'll probably say, Coaching Presence. But what is it and why is it so important? Coaching Presence is ICF Core Competency #4. They define it in their ICF Competencies Comparison Levels Table in a way that's seems easy enough: "Ability to be fully conscious and create spontaneous relationship with the client, employing a style that is open, flexible and confident", yet few coaches do this consistently and many, not at all. At the masterful level, the ICF expects the coach to fully connect with the whole of the client, empowering the client to teach the coach. The coach is guided by their natural curiosity, is free of any need to perform or provide value, and comes from a place of not knowing. What? The client teaches the coach while the coach doesn't need to know anything or provide any value? Isn't that backward? Who would pay for that? Coaching presence is a challenge because our egos think they know what to do, what to say, and what to advise; but egos make terrible coaches. The neuropsychologist, Dan Siegel, describes presence, not necessarily coaching presence, but presence itself, as fully in the now, undistracted by the past or future, or by one's own personal needs, is calm, positive, maintains open awareness, hasn't decided how things should be, is supportive of others, curious about the next moment, and in the flow. This is a state of consciousness that few experience in their day to day. Most are unable to conjure it on demand. Why does it matter? The state of consciousness that is presence, is contagious. When we come from this state, others often slip into it, too. And this is the state that invites insight, expanded awareness, creativity, confidence, and agency; all qualities that help clients grow, find resourceful solutions and act upon them. And that is the goal of coaching. This remarkable state of mind virtually eliminates the need to advise, solve, or teach our clients anything. You probably won't believe that until you've experienced it, though. 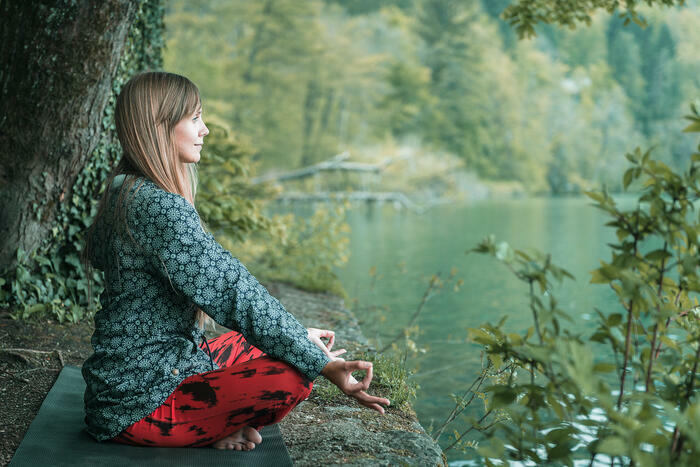 A daily practice of meditation or mindfulness can prepare your brain for presence, so can experiencing the flow of nature without thinking or evaluating, because practices such as these have been shown to integrate the brain via neuroplasticity. Some forms of yoga and tai chi can help you develop it, too. But even just taking a deep breath can get you started. In addition, getting all your needs met, via excellent self care, can help you maintain presence more often. And if you combine these with effective coach training, observing master coaching demonstrations in class, hours of practicing your own coaching, plus written feedback on it, you'll get pretty good at presence, over time. Our Neuroscience Tools and Practices Module is designed to help. You will spontaneously ask the right questions at just the right times. One of the biggest hurdles most coaches cross on the way to filling their businesses with clients, is finding their coaching niche. Other terms for this include finding your target market, finding your ideal client, or identifying your avatar, persona, or favorite client. These are the people you do your best work with, who you enjoy coaching, who succeed at their goals, and who send their friends to you. Marketing gets easier once you find your niche, but not necessarily for the reason you think. Some coaches turn "finding my niche" into a massive problem that stops them from succeeding. That's the real problem. It doesn't have to be that way. One of my students asked me to coach him in class. His goal was to find his niche. His problem was that he couldn't get his marketing focused without a niche so he was coaching all kinds of people. I asked a few questions and found out that my student already had more clients than he ever thought he'd have. So I shared something I learned from Thomas Leonard, the Founder of the Coaching Profession, while I was studying with him. Thomas said you don't need a niche, especially when you're starting out. He said plenty of generic life coaches were doing fine without finding their niche. I suggested to my student that since he already had plenty of clients, maybe he didn't need a niche. He was immensely relieved and immediately reoriented around serving the clients he already had instead of obsessing over getting a niche. 1. Pay someone to help you identify your niche. I know a coach who hired a branding expert to help her identify her niche. Together, they found a very specific group of people who had problems the coach was familiar with. In fact, the coach belonged to that group and struggled with the same problems. She found a snappy and memorable domain name, set up a website, and soon had a full coaching practice. But she hated coaching her clients. So she fired them all! She said she got tired of listening to them complain because they didn't want to change their lives. She and her coach made two mistakes: They didn't identify a niche that was ready to change and they didn't realize that she wasn't ready to work with those clients, without judging them, because she was still struggling with the same issues, herself. 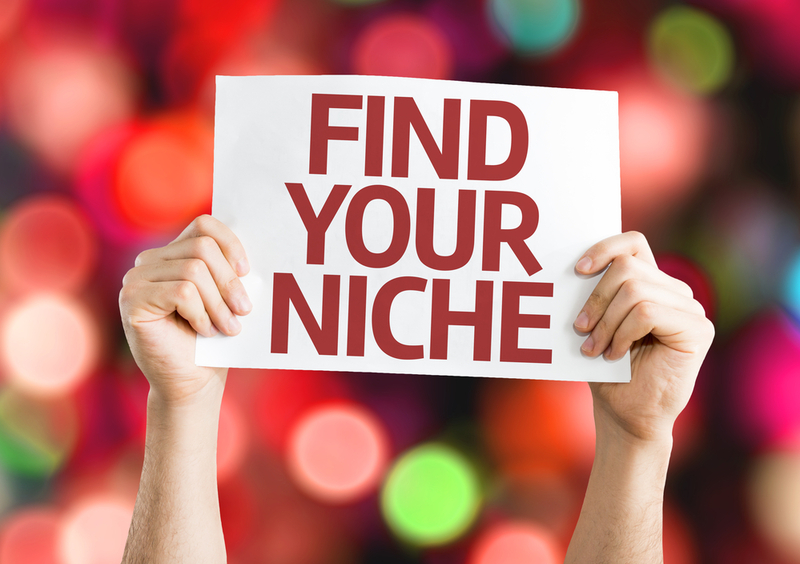 Not everyone who pays a coach or marketing expert to help them find a niche will find their niche and not everyone who finds one will fire all their clients, but it's not uncommon. 2. Get paid while you find your niche. I know another coach who started coaching without a niche. One of his clients was so successful with his help that they referred several colleagues to him to coach on the same topics. The new clients, were also successful with his help and referred more. He had found his niche! He soon had so many clients that his business grossed over one million dollars per year. Not everyone who finds a niche this way will have a million-dollar coaching business, but it can happen. You can start coaching without a niche. If you just start coaching, your niche will find you. Over time, notice who your favorite clients are. Make note about what it is you like about them. In particular, notice the clients who refer more clients to you. Think about who they are, how they are, and how you communicate with them. Design a website just for them. Ask them for testimonials. Ask them to review your site and tell you what they like and don't like. Edit until they love it. That's how to market to your niche. Easy when you know how. Our Coach 100 Business Success training program is included with the Certified Positive Psychology Coach® Program and the Certified Neuroscience Coach Program, at no extra charge. It'll help you identify your niche, fill up your coaching practice, get referrals and testimonials, become a better coach, get ICF certification if you want it, and more. Each new year invites dreams for the future, goals to achieve, and evokes our desires for happiness. There is only one goal. As the Buddha said, 2500 years ago, all beings just want to be happy and avoid suffering. We have dreams and goals because we believe they will help us be happy and avoid suffering. Sometimes we have dreams and goals for others because we love them and want them to be happy and avoid suffering. But if we're honest, seeing our loved ones happy makes us happy, too. Reaching goals doesn't make us happy. Sometimes we suffer to get things that leave us feeling disappointed. Other times we're happy when we reach our dreams but only for a short while. Psychologists tell us we over-estimate how happy we'll be when we reach our goals. One researcher, Sonja Lyubomirsky, has even averaged out how long we're likely to feel happier upon reaching various goals. Buy a new car? You may feel happier for three months. Marry your sweetheart? Two years. Most other goals offer happiness for much shorter time periods. After that, we go back to our "happiness set point" aka "resting dissatisfaction level". Daily practice: Three Good Things. According to researcher Robert Emmons, practicing gratitude is one of the most powerful tools for raising happiness. At the end of each day reflect on three good things that happened. Did you help them come about? Thank yourself for that. Did someone else contribute? Thank them tomorrow. Many people find writing down three good things is especially helpful, but even just thinking about them works. I like meditating at night and I start by spending a few minutes appreciating at least three good things. If you pray, you may want to thank God for the good you've received. Why does this work? It primes your brain to notice the good. Most brains naturally notice what's wrong more than what's right, but we can train ourselves to think more positively. We seem to get more of what we notice, so this can set us up for future happiness, as well. Weekly practice: Gratitude Journal. Choose one day per week when you sit down and write a paragraph about each thing you most appreciate in your life. Put your heart into it. If you treat this as just another to-do it will have little benefit, but if you take a deep dive into what really matters and how grateful you are to have it, allowing yourself to really feel it, this practice will enrich your life immensely. I recommend getting a beautiful journal and hand writing in it. Whenever you need a happiness boost, read through your journal entries and you will naturally re-experience the positive feelings you had when you wrote about them. Occasional practice: Gratitude Visit. This practice, designed by the Father of Positive Psychology, Martin Seligman, is perhaps the most profound. Think of someone who has made a real difference in your life, but whom you never fully thanked. It could be a teacher, parent, friend. They may have no idea what a difference they've made. Write a letter to them about it. Tell them in detail how they made a positive difference in your life and what the results have been. Now, if you possibly can, deliver your letter in person and read it aloud to them, making frequent eye contact. Research shows this practice boosts happiness levels even six months afterward for both the writer and the receiver. 2. Be Kind. Kindness to others also raises happiness in ourselves and others. We feel good about helping others especially if we can let go of the desire to be thanked or recognized for it. That said, learning to recognize kindness in ourselves and others and acknowledging it goes a long way toward hard-wiring this positive habit. Daily Practice: Do one unexpected kindness each day and try not to get caught at it. Make it a fun game. You'll start noticing many opportunities to be more kind. Consider using your personal strengths for this. One person may be great at doing favors, another might be a wonderful listener. Still another may know when to give someone more privacy. Be careful about imposing acts of kindness on others. It's only kind if they truly benefit from it. The only aspect of kindness that's about you is the good feeling you get to have as a result. Never attain that good feeling at someone else's expense. Keep score in your gratitude journal. Note how you feel about what you did. Weekly Practice: Track acts of kindness in your journal. Read your journal entries about your acts of kindness for a boost any time you're not feeling good about yourself. Also make note of acts of kindness you observe in others, whether you are the beneficiary or someone else is. When my mother had to be admitted to a nursing home, my first reaction to the place was how depressing it was. But when I began noticing the constant acts of kindness performed by the nurses and aids toward my mother, myself, and other members of my family, my experience transformed. I began to feel honored and grateful to be surrounded by so much kindness and I made a point of acknowledging the staff for it, which made their days happier, too. Occasional Practice: Experience Awe. According to researcher, Dacher Keltner, when people experience awe, which can come about via witnessing natural beauty, human achievements, or spiritual wonder, people spontaneously engage in acts of kindness right afterward. I've experienced this at spiritual retreats, walks in the woods, especially when wild animals appear, going to the top of extremely tall buildings, flying over the Grand Canyon, watching a total eclipse of the sun, experiencing great art, and watching hot-air balloon races. Prime your brain for the extraordinary and let the extraordinary in you spontaneously blossom. You and those around you are likely to receive a happiness boost. 3. Practice Mindfulness. Being mindful is about learning to be present. Like gratitude and kindness, this can be strengthened into a habit and even become one of your greatest strengths. The benefits include actually experiencing your life while it's happening. The cost to not being present is you miss out on everything or feel empty even when life is good. That's a pity. Daily Practice: Use mindless activities to be mind-full. Choose between one and three activities that you do daily but may not really be present for. I often use walking my dog, doing dishes by hand, or eating alone for this because none of these require difficulty or much thought. If you're accustomed to distracting yourself with your phone, tablet, computer, or TV, turn it off during these times. Keep yourself present by noticing information coming to you from all your five senses: sight, sound, smell, touch, taste. Once you've done that, ask yourself what about this moment you are grateful for. Then look for the opportunity to be kind. Consider following through on that and acknowledge yourself for being present, grateful, and kind. Weekly Practice: Make at least one conversation per week all about the other person. Listen without formulating a response. If the person is going through something difficult, resist the urge to fix it or give advice. Be curious instead. Ask deeper questions. Notice what feelings come up for you. Notice the other person's feelings. Acknowledge their feelings. Notice how this impacts the conversation and even your relationship with this person. Occasional Practice: When difficult situations or conflicts occur, instead of reacting with your usual feelings, count ten breaths first and imagine yourself calm and centered. Let the urge to feel victimized or guilty, or to blame others and resist, fall away, if possible. Then from this relaxed and centered place, choose the best response for all. You'll likely create better outcomes and less suffering. These are three of the most powerful ingredients for happiness, but you can design many more, yourself. Savor good experiences for up to 30 seconds, for instance, and you're more likely to develop a happier brain over time. And what about goals and dreams? It's good to have them and to reach them, because they offer meaning and purpose, which are additional ingredients of happiness. Just put them in perspective because they often fail to increase your happiness and reduce your suffering for very long. Put together three or more ingredients for a happy 2019, notice how they "taste" to you and adjust the mixture as needed. And practice. That's the other secret. Keep practicing and you can raise your happiness over the long term. To boost your happiness even more, share these ingredients and your journey toward greater happiness with a friend, colleague or client because sharing happiness makes it even sweeter. Be the one who lifts spirits just by being you and have a "happy new year" every year. Our Certified Positive Psychology Coach® and Certified Neuroscience Coach programs go far deeper into the science of happiness, success, and flourishing. Use the tools in your own life and help others have greater lives. It's fun and well-paid. Or just add an important new skill set to your resume. Learn more, download a free eBook, take just one module, or jump into a fabulous new career. Squeezing into a too-small box is cute when cats do it, sad when humans do. And totally inappropriate when coaches do it. Coaches are supposed to model great self-care for our clients and, while we can't control everything in our lives, we can be honest about what's really going on. Telling the truth to ourselves is always positive, because, no matter how hard life gets, when we embrace what's true, we can start choosing something better. Lately, too many of my coaching students are cramming too much into their lives and seem oblivious to the damage they may be doing. This post is for them - and for you, if you're over-doing it, too. You're probably stressed. Over-doing it is exhausting and stressful. High levels of stress hormones over time are toxic. They can wreck you gut biome, which can damage your mental health, as well. You may be familiar with the Japanese word for death from over-work: Karoshi. Unfortunately, people tend to think they're doing great until it's too late. Wondering if you're stressed? 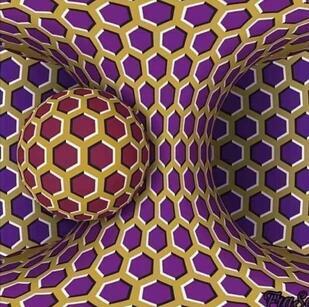 This image, shared by a former client, will tend to "move" when a stressed person looks at it, but doesn't move if you're relaxed. You're not giving your brain enough time to slow down. it needs that to see things for what they truly are. No wonder people can work themselves to death; they can't think straight when they over-do it. Poor choices result. And neuroscientists say those who over-do it have less gray matter in their brains, meaning fewer neurons to think with. You may not be fully present. You think you're doing so much for others, but often people just want you to really see and hear them. You can't do that when you're rushed. You're probably over-stressing those around you. Stress is contagious and can become a vicious cycle. Plus people take their cues from others. That's how cultures of over-work develop. The people around you are more likely to over-do it, too. Instead of making a better world, you may be making it worse! Practice a little self-compassion. It's okay to say "No" to more work, to ask for help, to prioritize what matters instead of pretending everything matters equally. It's okay to live by your own values instead of everyone else's. If you're over-extended, you're doing no one any favors. Give yourself a chance to just be and then start again with sanity. Notice what need you're trying to fill by over-doing it. Is it a need for significance? To win? To out-do everyone else? Are you a help-aholic who needs to be needed? A great coach can help you with this because you can get all your needs met in non-toxic ways and that's the gateway to true happiness. Identify what matters most and have the discipline to cut out everything else. It'll feel uncomfortable at first, but will get much easier. You may be surprised that no one else really cared if you did it, in the first place. Start using your strengths where they're needed most. Let people with different strengths do the other stuff. You'll save energy, stress, and discomfort for all. Everyone will be happier. If you really want to help others, model what a great life looks like. You'll be giving them permission to also live their best lives and be happier. Happy people are kinder. Everybody benefits! Be a coach who models awesome self care. Neuroplasticity training programs are popping up everywhere. They make a pretty grand promise: That by just learning some easy tools, you can physically change your brain and therefore your behavior, your thoughts, your emotions, and you can even eliminate your addictions and habits. Wow! Who doesn't want permanent change like that? But how do you know if they deliver? And even if they do deliver, are there any unforeseen side effects? And how long before the effects take place? Days, months, decades? Can you cross-train your brain by practicing one activity and see then see improvements in another? And do you really want a stranger tinkering with your brain? These are questions I asked myself and then dug into research on the topic when I started designing the Certified Neuroscience Coach Program, because for a while, we called it the Certified Neuroplasticity Coach Program. Bottom line: In coaching, it's the outcome that matters, the flourishing life or career that the client enjoys as a result of the coaching. That outcomes is generally due to changes in thoughts, feelings, and behaviors, which themselves are the result of changes in the brain. Brain change matters but outcomes matter most. Neuroplasticity isn't even the point. It's an intriguingly trendy name for a phenomenon that most neuroscientists were sure didn't exist until the 1990's when they discovered that the brain continues to change in adulthood, that in addition to new connections forming between neurons, new neurons actually form, as well. The discovery of neuroplasticity launched a whole new focus on personal development. The story of London cab drivers, who develop larger hippocampi by memorizing London’s 25,000 streets, is well known. Less well known is that the process of memorization undergone by these cabbies appears to have decreased other forms of memory, with resulting atrophy of corresponding brain regions. Neuroscientists have found evidence that there’s a trade-off, but they just don’t know for sure. The story that brain plasticity trainings, such as Lumosity, don’t work, is also well known. But there are other brain-training programs by reputable scientists that still claim you can make sustainable changes to you brain. Are they right? It's hard to know without solid research evidence and that's not always available. The recent book, Altered Traits, by Dan Goleman and Richie Davidson, is about how meditation changes the brain, but much of it cautions about over-promising because too much is still unknown. For example, you may know that meditation appears to make lasting changes the brain, but most of those findings have been based on people, such as Buddhist monks, who have been meditating several hours per day for decades. The problem is that, although meditation makes immediate changes, they tend to wear off quickly, and no one knows yet whether there is a reasonable amount that “regular people” can do to make lasting change. So far, programs that promise neuroplasticity appear to over-promise. 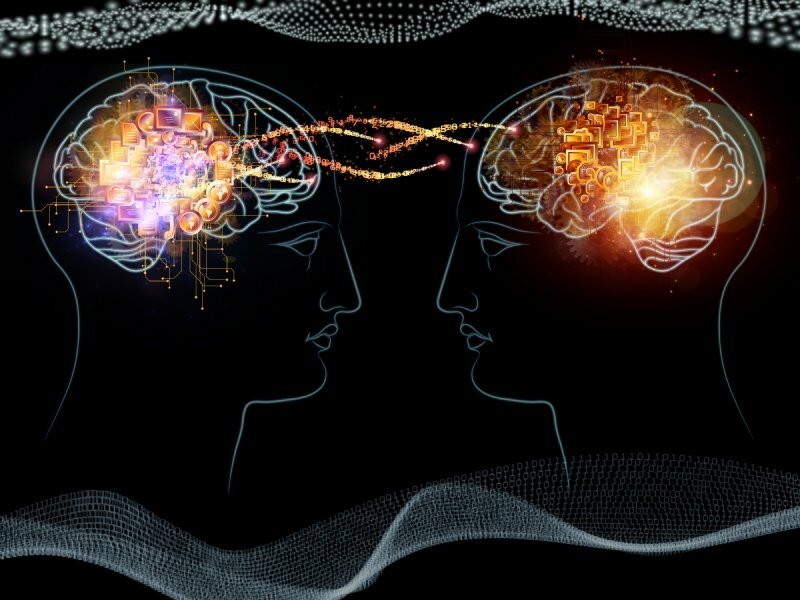 On the other hand, neuroscience tools can be highly effective in coaching and, if you aren't using them yet, you probably need to start, especially if your clients seek lower stress levels, better focus, greater resilience, goal achievement and more because neuroscience tools and practices do appear highly effective in achieving desirable outcomes. Whether they also cause growth inside the brain, itself, is interesting but beside the point. Clients want better outcomes not bigger brains. There's a brand new coach training program that will teach you to use the power of the brain to help your clients create whatever they want. You can save when you register for the Certified Neuroscience Coach Program now. What is the Certified Neuroscience Coach Program? "Positive neuroplasticity" has much in common with positive psychology. In fact, it helps explain why positive psychology is so effective! The Certified Neuroscience Coach program is a sub-specialty of the Certified Positive Psychology Coach® Program and includes 100 live distance-learning training hours. This program will teach you what goes on in the brain, as well as the body's other information processing systems, during coaching and beyond. You'll learn how to help your clients move into more resourceful brain states and how to help your clients "hard-wire" desirable changes for themselves. Neuroscience coaching is in demand for a variety of coaching specialties and niches, such as executive and leadership coaching, business coaching, life and wellness coaching, to name a few. Coach your clients to flourish, to make positivity their default, to enjoy more success, develop positive habits and let go of less desirable ones, to reach peak performance, coach positive brain states to enduring traits, and even how to maintain brain health and sharpness well into old age. Plus, you'll develop transformative tools, so you can enjoy "self-directed neuroplasticity", yourself! Depending on your previous training and credentials, you may be able to waive some courses and take electives that you choose, in their place. Most coaches will complete this program in about a year with a minimum of 4 hours work per week. We give you up to two years to finish. If you want, just try one course. It's less expensive to take the whole program, though. If you decide to join the entire program within 30 days of completion of you course, you can apply 100% of the cost of the course to the program tuition. If you're interested in this program, let's talk. Please book an appointment here.